This report offers an in-depth look at the activities of our organization organized by our staff members and Board from January to December 2015. PINK Armenia’s strategic plan defines the areas that our organization concentrates its efforts on. These areas have been translated into the work and objectives, both short term and long term, of our staff and Board, which are realized through the many activities undertaken throughout the year and with the tireless support of our community in Armenia and our partners abroad. 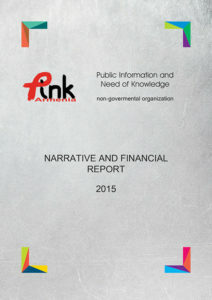 The report summarizes the organization’s path, as well as briefly presents the history of the organization, the projects implemented over the past seven years, the board and staff of the organization. 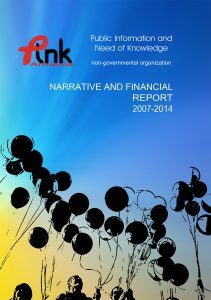 In this report we also summarize the sources of funding of all years and the amounts given to the organization.